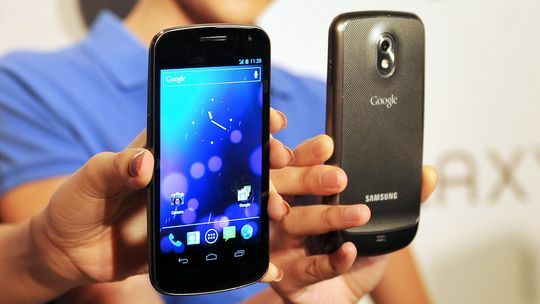 This is a step-by-step guide to root Sprint Google Galaxy Nexus devices running on the Android 4.0.4 Ice Cream Sandwich update. The guide uses the CF-Auto-Root tool by Chainfire and a unique exploit file that’s made for your Galaxy Nexus only. Once installed properly, you will have the SuperSU installed and enabled on your Galaxy Nexus so you can start doing things like using the Titanium backup app. The rooting exploit found in this guide is based on Android 4.0.4 Ice Cream Sandwich and IMM76D.L700FD02 firmware. You must follow this guide on the Google Galaxy Nexus by Sprint only and failing to do that will probbaly brick your device. You can check out your model number by tapping on the Menu > Settings > About Device > Model Number. Download the Samsung USB Drivers  from our page and install them on your Windows computer before you start the guide. You cannot be sure the Odin flashing tool will detect your device without the drivers running. Those who have had the drivers running recently might be able to get away with not installing them again. However, the first sign of something not working should lead you to believe it’s a driver problem. Download the updated CF-Auto-Root for the Galaxy Nexus (toroplus) 4.0.4 from this link . Download the Odin 1.85 flashing tool from this link . Extract the files to the desktop in the usual way by right-clicking and choosing the option for “extract here” from the menu. Power down the Samsung Galaxy nexus by long-pressing the Power button for 10 seconds or by choosing the Power Off button from the Device Options menu. Boot the Samsung Galaxy Nexus up in download mode so you can connect it to the PC and start flashing file. Connect the Samsung Galaxy nexus to the computer with the USB cable once you are satisfied it is in the download mode. Click the PDA/AP button you can see available from the Odin user-interface and browse your desktop for the rooting tar.md5 file. Click the Start button once the tar.md5 file is fully loaded without having changed any of the default settings from the Odin app user-interface on the computer. Wait until the Odin app on the computer gives you the pass message and then glance over to the smartphone’s display. The smartphone should tell you that it is about to reboot in 10 seconds at the bottom of the text it has on the screen. Watch as the device reboots in recovery mode where it will now apply the finishing touches on your rooting method by installing the SuperSU app. Any Google Galaxy nexus device that does not do that automatically will need to get it done manually by pressing the hardware buttons combination of Volume Up + Home + Power together during the booting phase. It only works if your device is completely off first.